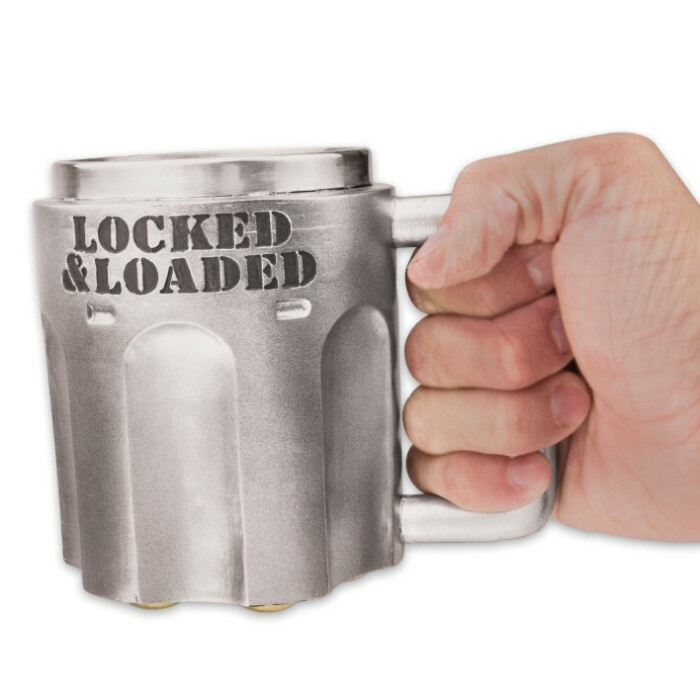 Locked and Loaded Novelty Mug | BUDK.com - Knives & Swords At The Lowest Prices! 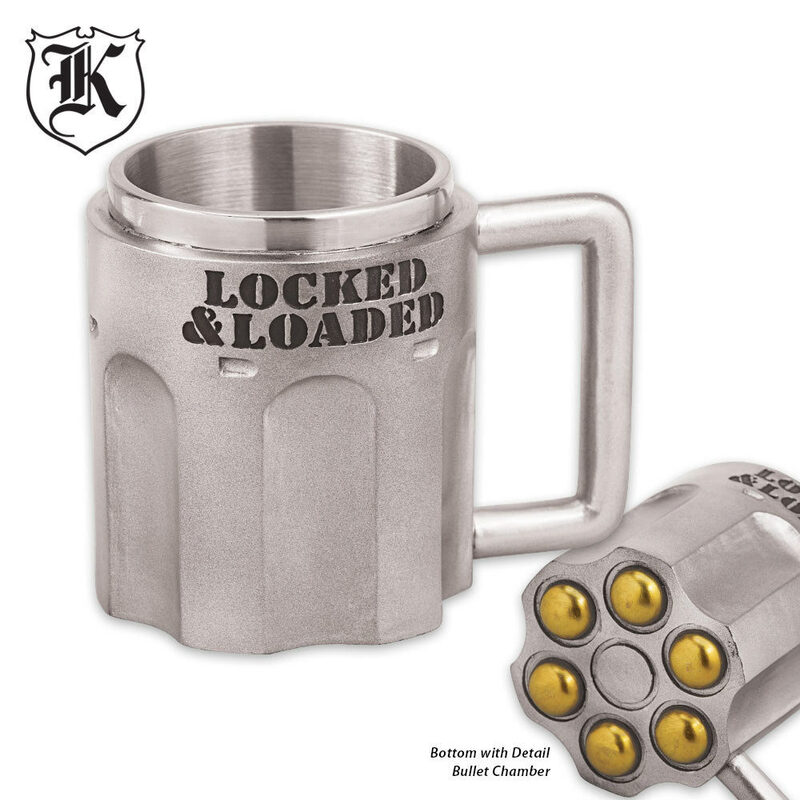 The Locked and Loaded Novelty Mug is a fun item to have around or to give to a friend or loved one. 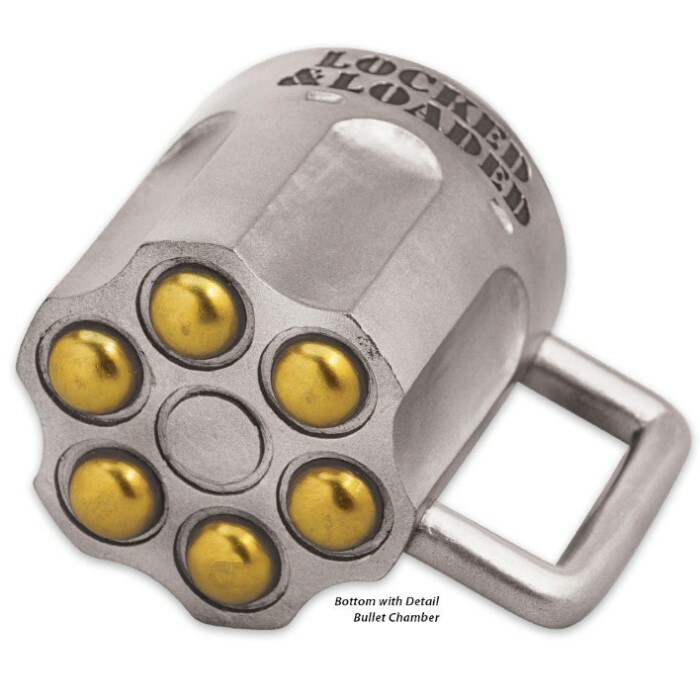 In the shape of a revolver’s cylinder, it boasts tough construction and is designed with a metal liner to make sure your liquids stay hot or cold. Use it morning or evening!